Good cosmetic surgery results depend on a competent mix of medical know-how and aesthetic judgement, and at the Dr Alex Chambers Clinic, our goal is to provide patients with the highest quality results that can be achieved. A key quality factor of our approach is to provide the very best pre-surgical advice. We achieve this through a comprehensive consultation process, beginning with a dialogue with patients to understand and clarify their objectives. This is followed by a variety of examinations, including an ultrasound scan. This provides invaluable medical information about a patient's body's individual characteristics that then define what can realistically be achieved. Finally, to help provide the clearest and most honest advice possible about expected outcomes, we present representative before and after photos that best match the patient's age, gender, skin type, and body type. Our clinic has its own private operating theatre and recovery rooms, providing the highest degree of privacy, and also a much lower risk of contact with disease found in hospital environments. At the Dr. Alex Chambers Clinic, we believe that cosmetic surgery is a serious undertaking that should not be decided on only a cursory examination and a twinkle in the eye. 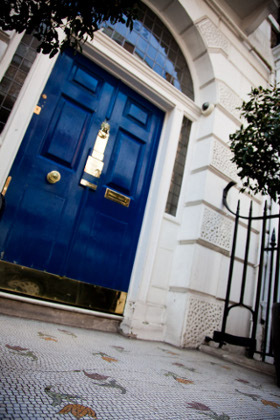 We aim to provide the clearest information, the highest quality, and lowest risk cosmetic surgery services in London. The Care Quality Commission has highly ranked our clinic and staff, and the CQC report on the Dr. Alex Chambers Clinic can be read on their website. Feel free to browse our services, or read our blog! We are happy to answer your questions, so don't hesitate to contact us. Vaser Liposelection is a fairly recent cosmetic procedure that has only been around for about a decade. It has become one of the most popular forms of liposuction because it has proven itself to be the most effective technology for removing unwanted fat and helping to aesthetically perform body sculpting. Dr. Chambers is one of the few fully approved Vaser surgeons in the UK, as registered with the Care Quality Commission.